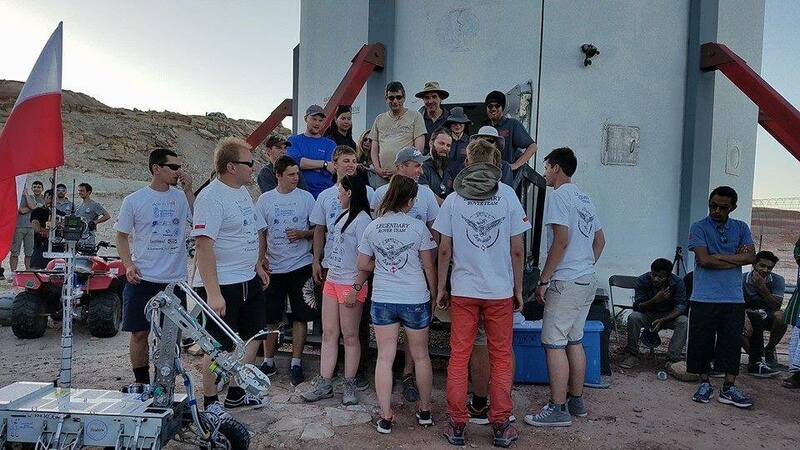 The 2016 University Rover Challenge concluded on Saturday (June 4th) at the Mars Society’s Mars Desert Research Station (MDRS) in southern Utah as 28 rovers and more than 300 college students took on the harsh Mars-like terrain of this unique venue. Following two rounds of competition and five different events over a three-day period, the Legendary Rover Team from Rzeszow University of Technology in Poland defended their title from 2015 with another amazing victory. The podium was rounded out by the second place WSU Everett Engineering Club from Washington State University Everett and third place Continuum team from the University of Wroclaw in Poland. The WSU team’s performance was particularly amazing in light of the fact that this was their first year attending this ambitious contest. This year’s entire field of student participants was extremely well prepared and ready to compete. While the nearly-flawless performance of the Legendary Rover Team separated them from the second place finisher by 82 points, second through ninth place were separated by only a mere 78 points. The international robotics competition for college students, which is part of the Mars Society’s Rover Challenge Series, featured an elite field of teams vying to build the world’s best student-designed Mars rover. A record 63 teams from 12 countries took part in URC2016. Following a rigorous two-stage down-select process 30 teams were invited to the field competition at MDRS. 28 teams from seven countries (both records for URC) arrived with their rovers ready for the exciting challenges in the Utah desert. To read the full announcement, please click here.